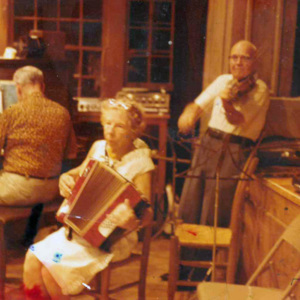 Three photos of Otto Wood (fiddler and dance caller) and Marguerite Wood (pianist and accordion player). 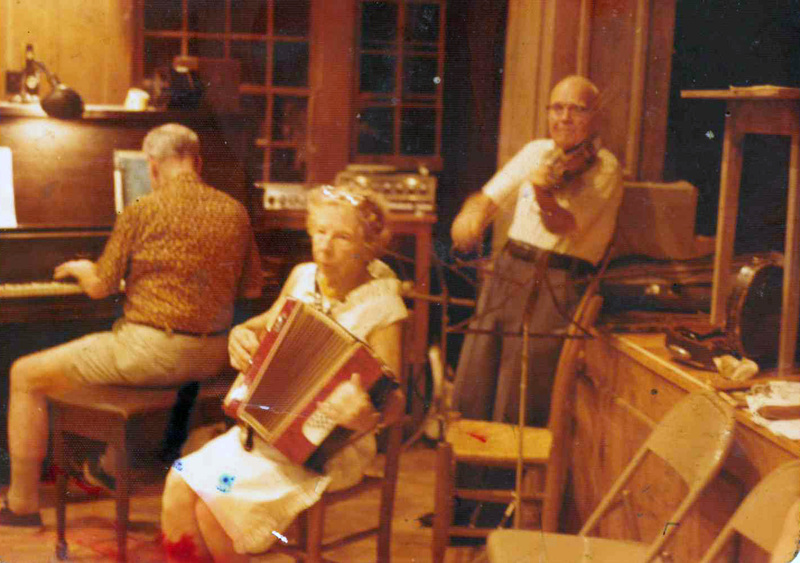 In the second photograph, the piano player (seen from the back) is Phil Merrill. 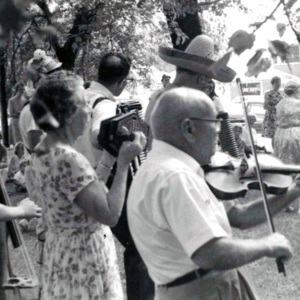 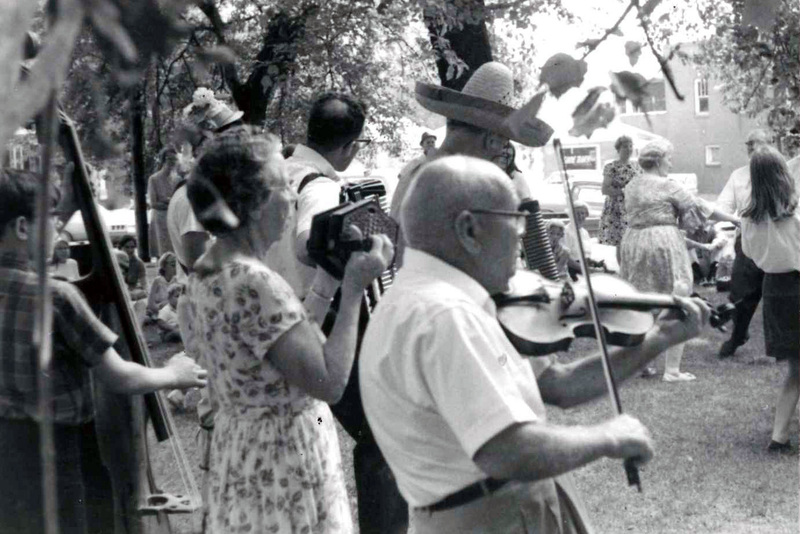 “Otto and Marguerite Wood – photos,” Square Dance History Project, accessed April 24, 2019, http://squaredancehistory.org/items/show/1659. 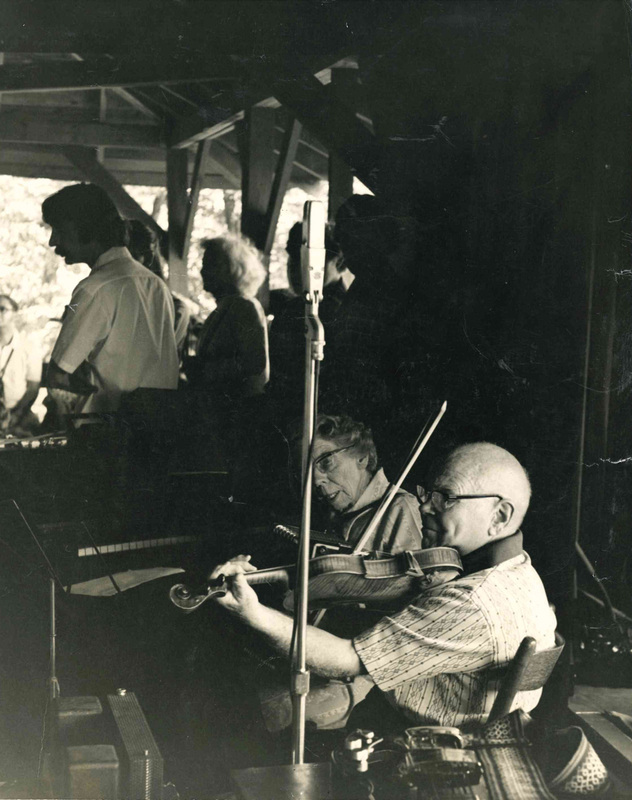 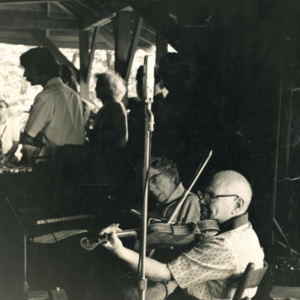 The photographs are from the collection of the Archives Center at the John C. Campbell Folk School, Brasstown, NC; thanks to Bob Dalsemer and David Brose.